Since craft-style beers began gaining popularity, our experience with the microbrewery industry has allowed us to play a vital role in this niche market. 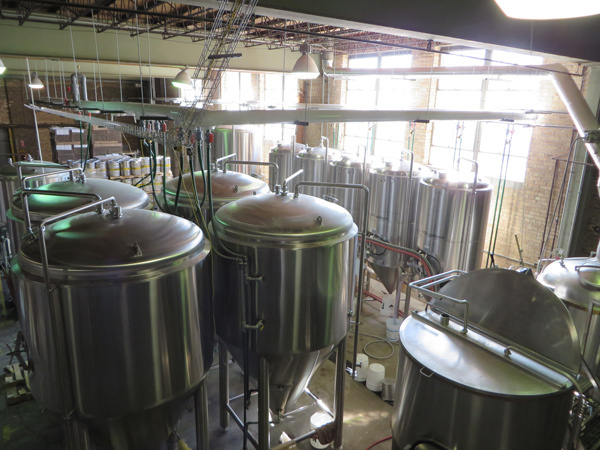 At Leyden Brewery, we offer full-service solutions for installing process piping, tanks, conveyors, and other related brewery equipment. 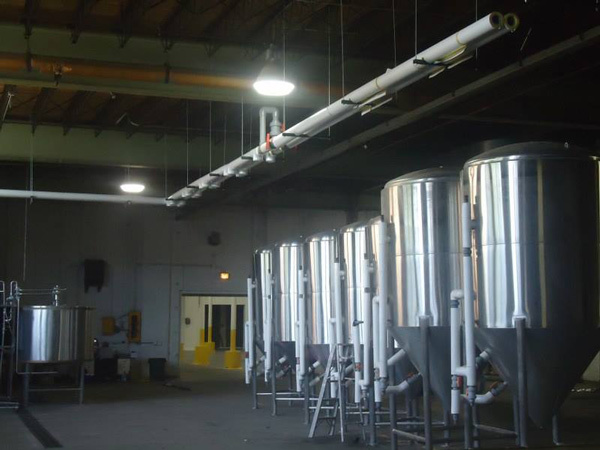 This project involved a local, Chicago-area installation we completed in cooperation with two of our sister companies, American Industrial Werks and Brewery Werks. Phase one consisted of seven different setups. We installed 3.0" insulated CPVC supply and return lines for the cooling system, and then connected the tanks to the cooling mains with 1” piping. We strategically located the isolation valves to manage flow between the tanks, mains, and chiller unit for safety and maintenance purposes, and put several additional valves in place to accommodate future expansion. Next on the list was installing a 2" schedule 40 steam line to the brew kettle and fitting it with return isolation valves. To ensure adequate venting, we ran 24 gage round flue pile to the outside and fitted it with a rain cap. Lastly, we installed a conveyor through the block wall from the mill to the hopper. Phase two involved similar activities for the installation of six 30 bbl fermenter tanks and one 30 bbl bright tank. We also placed 14 new solenoids between the cooling mains and the tanks. Along the way we were tasked with two extra responsibilities. One consisted of pre-assembling the stainless steel piping for the tank, brew kettle, and mash tun, the other was to fabricate supports for the grist case and execute the installation. Throughout the entire project, we worked as safely and efficiently as possible. We had the manpower to readily accommodate the out-of-scope work while still completing the project within the stipulated timelines. Batch after batch, this facility is now consistently brewing their signature beers and ales for Chicagoland to enjoy.